To eliminate avoidable blindness. Our vision is to light a lamp in the darkness. To provide Quality Eye Care to all irrespective of their capacity to pay. The mission of Ayodhya Eye Hospital (Base Camp) system is to provide quality ophthalmic patient care, comparable to the world's best, by reaching the unreached. The services are also provided to those living in remote areas & thereby delivering eye care at the community's doorstep. Every person has a right to eye care, and the best treatment must be delivered to all without compromising on quality, and according to international protocols. Another aspect of this belief is that the patient must receive ideal holistic management, that is, all spheres of the patient's life must be considered before prescribing treatment modalities; that the best possible treatment must be given within the socio-economic constraints faced by the patient. 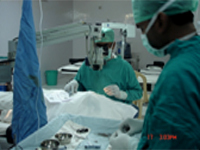 For instance, medical treatment for glaucoma is life-long and often expensive; Ayodhya Eye Hospital (Base Camp) believes that, in patients with financial constraints, it may be best to operate early so that the patient receives effective treatment but within the bounds of his/her financial situation. 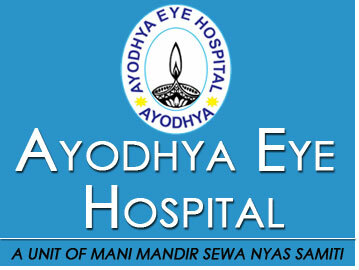 Ayodhya Eye Hospital started as a sixteen bedded Eye clinic with almost 10 staffs including an Ophthalmologist. At present it has grown to a 50 bedded hospital with almost 100 staffs including 10 Ophthalmologist & performs around 14 to 15 thousand surgeries per year, of them almost 52% are free.